I love nuts, especially Macadamia nuts. We all know nuts are among the healthiest foods we can eat, especially Macadamia nuts which is the ‘king of nuts’ that gives numerous health-benefiting nutrients, minerals, antioxidants and vitamins that are essential. Not only that, Macadamia nuts is also sweet in taste and is a rich source of energy, they are simply irresistible, right? Good news for us, we can now enjoy delicious Macadamia nuts in a very convenient way - Macadamia Tarts. 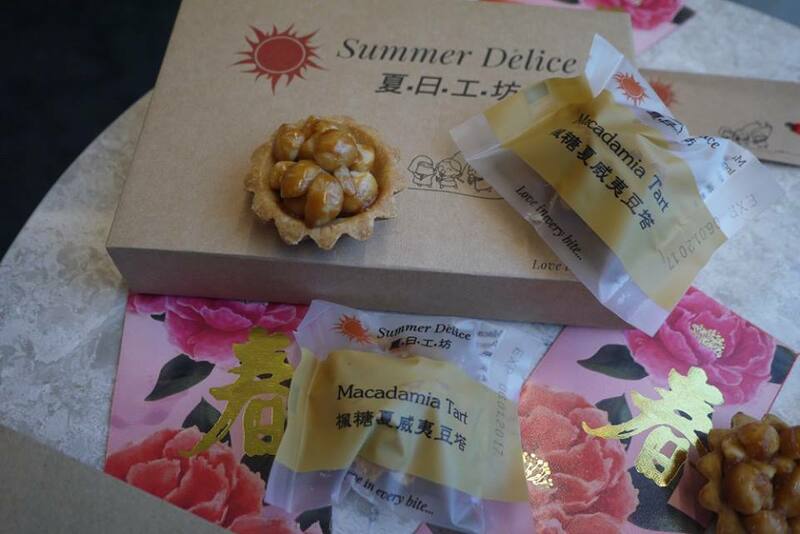 Summer Délice has launched their Macadamia Tarts not long ago. It was our first time trying out Macadamia Tarts bought online. The parcel came in promptly and we are delighted that the tarts were packed nicely in a high quality sturdy paper box. The packaging is simple and minimalist, made it ideal to recycle for storage purposes. We love that Summer Délice Macadamia Tart is hand-crafted with love. The tart’s base was crusty while the Macadamia nuts were chunky and crunchy walnuts. Topped with maple syrup, they taste not too sweet but earthy, and rich in natural fragrance. Summer Délice has used a generous amount of Macadamia nuts origin from Australia in each and every Macadamia Tart. Summer Délice Macadamia Tart taste so great and they are simply fabulous. 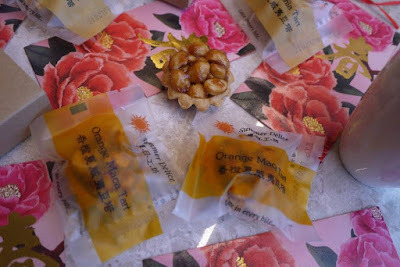 There are two flavors available – The Original Maple Sugar Macadamia Tart and Orange Macadamia Tart. 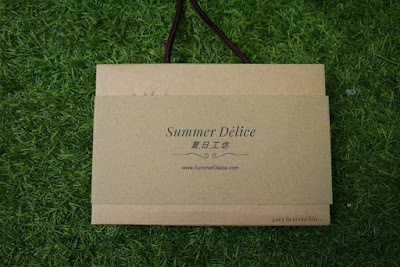 Summer Délice Macadamia Tart tastes so good that we finished a box within hour. Most importantly, it contains No colouring, no preservatives and no artificial flavours, that made it the exact healthy snack one could have, even for my kids. 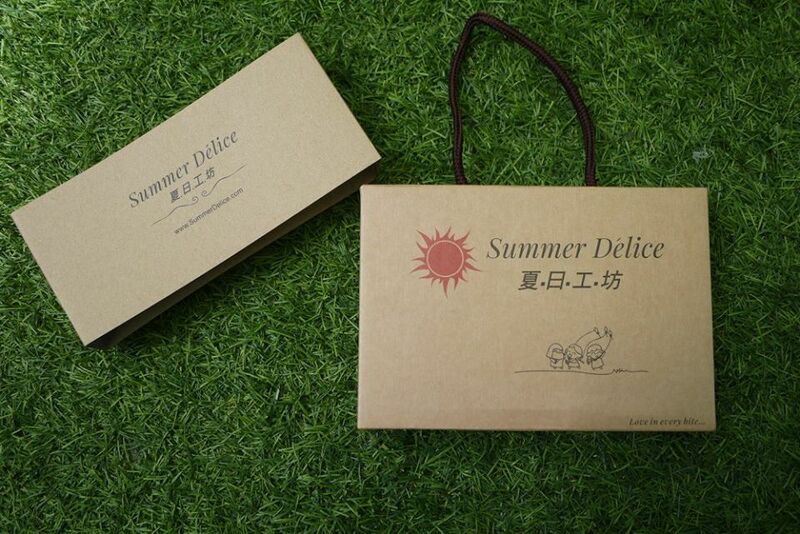 We would buy more of Summer Délice Macadamia Tart which is indeed a healthy snack for the whole family. 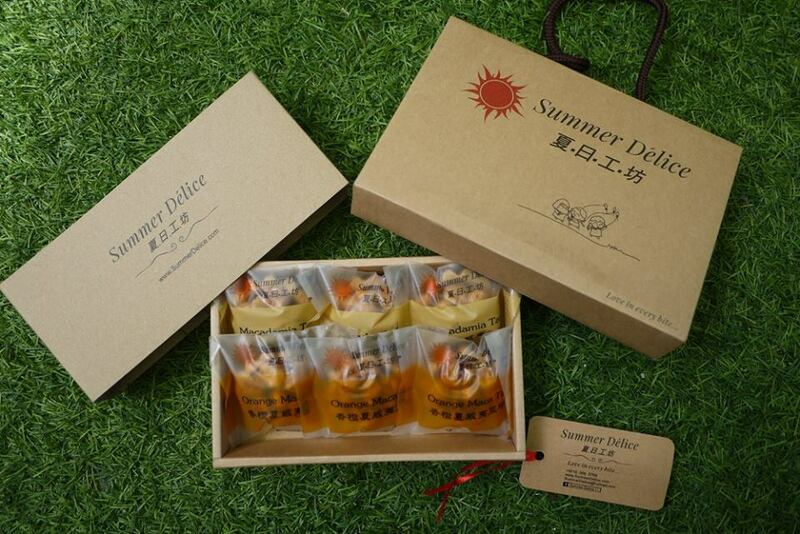 Summer Délice Macadamia Tarts is indeed a great gift idea for your loved ones. Summer Délice Macadamia Tarts comes in Mini box which contains 6 pieces for just RM 23, and a bigger box of 12 pieces retails at RM 45. 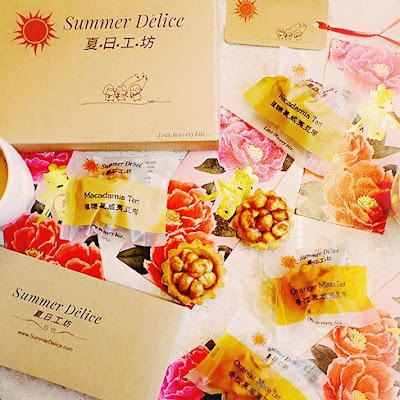 A box of Summer Délice Macadamia Tarts snack has both 2 flavors for Taste sharing. Each tart is packed individually in an easy-tear packaging, which made it easy to carry around meanwhile also maintain the freshness of the tarts. The perfect bite size of the Macadamia Tarts is small in size, big in flavour and packed with Macadamia Nuts. Do you feel like want to try this amazing Macadamia Tarts already? 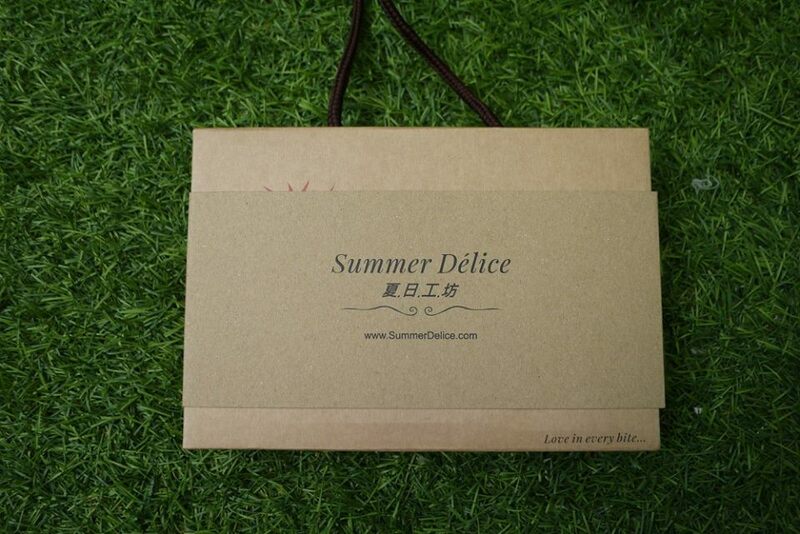 Good news for us, Summer Délice is having promotions where customer who purchases 10 mini gift boxes will get 1 mini gift box Free, Buy 5 gift boxes Free 1 mini gift box, and Buy 10 gift boxes Free 1 gift box. It’s easy to order through Summer Délice’s Facebook Page and by mobile. What’s more, Summer Délice will be joining the Event: ‘Beauty and The Beast’ where customers are welcome to free tasting and stand a chance to grab RM5 gift voucher. 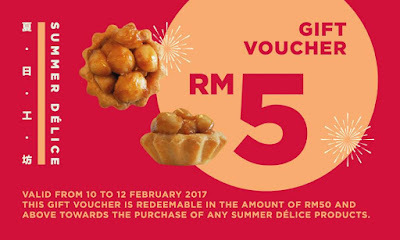 This voucher is redeemable in the amount of RM50 and above towards the purchase of Summer Délice products. looks so pretty and nice! would love to take a bite!!! Two things that I look for when I buy my dessert, healthy and sweet tasting. The orange tart definitely fits the bill. Now I just have to make an order. Definitely worth indulging in as nuts are so healthy. I will probably get addicted to them. This sounds too yummy! I love Macademia nuts! I guess I'll like the orange version more than maple syrup one!